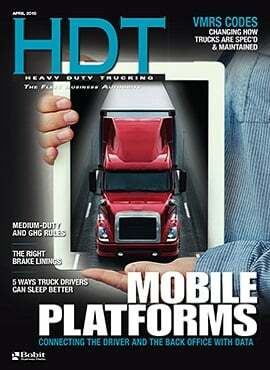 A new, zero-emission highway concept for moving freight is undergoing testing near Long Beach, California. 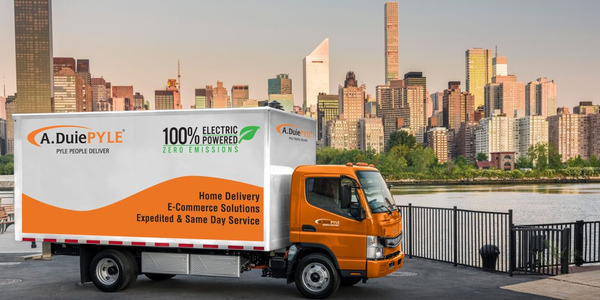 German technology giant Siemens and the South Coast Air Quality Management District are conducting a one-mile, zero-emission eHighway demonstration in Carson, California, to determine the feasibility of a dedicated electric highway. The test involves three big-rig trucks hauling freight along a stretch of highway that uses Siemens technology to electrify select highway lanes via an overhead catenary system. 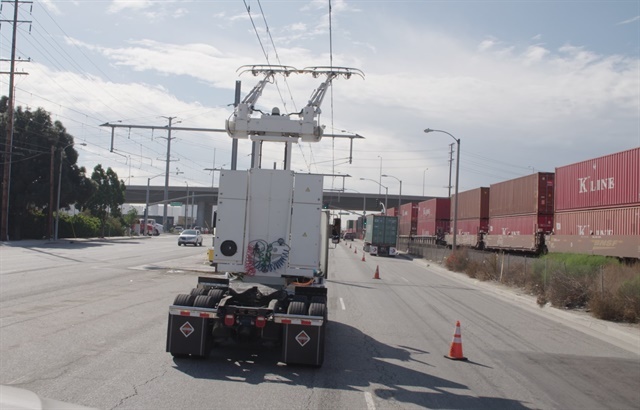 This catenary system supplies the trucks with electric power, similar to how modern-day trolleys or streetcars are powered on many city streets, but the system also allows for truck operation outside the electrified sections of infrastructure. 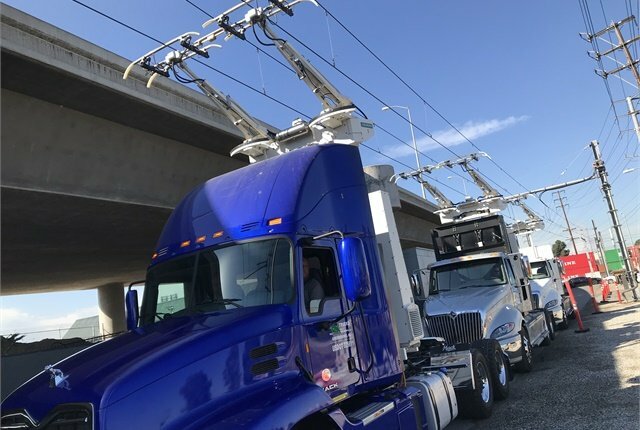 Currently, one battery-electric truck, a clean natural-gas hybrid-electric truck, and a diesel-hybrid truck are driving on the mile-long catenary system on the north- and south-bound lanes of South Alameda Street from East Lomita Boulevard to the Dominguez Channel in Carson. 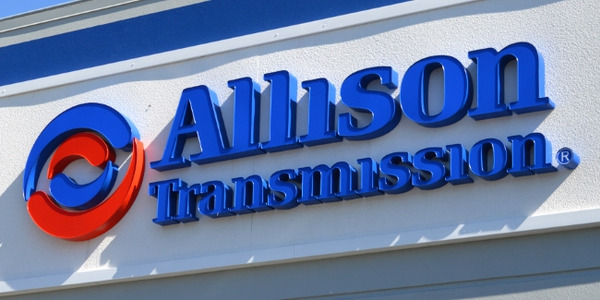 The demonstration system features an overhead contact line that makes power available to trucks along the road. An active pantograph on top of the eHighway trucks transfers energy from the overhead lines to the trucks' electric motors, allowing them to operate with zero emissions while on the catenary system. 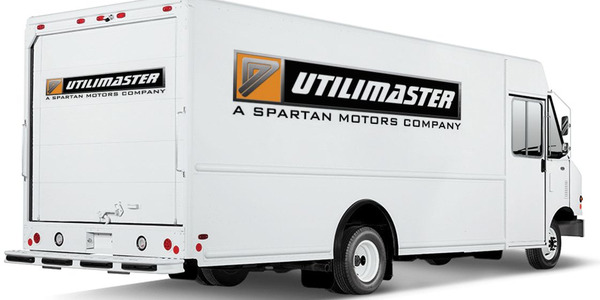 The pantograph can connect and disconnect automatically with the contact line via a sensor system while the trucks are moving. This allows the eHighway trucks to easily switch lanes or pass other vehicles without being permanently fixed to the overhead systems. 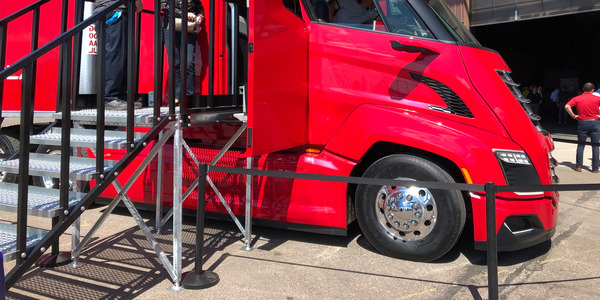 To further ensure the same flexibility as conventional trucks, the eHighway vehicles use an electric-hybrid drive system, which can be powered by diesel, compressed natural gas, battery or other on-board energy source, when driving outside of the catenary lines. 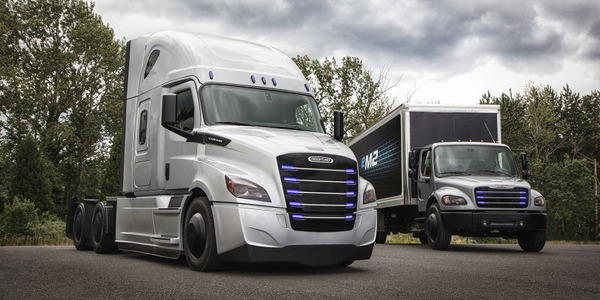 The system is expected to lower fossil fuel consumption, reduce truck operating costs, substantially reduce smog-forming, toxic and CO2 emissions, and help accommodate a growing reliance on freight transportation. The aim of this specific project is to demonstrate the eHighway system applied in truck operation on public roads in an urban U.S. setting and to further prepare applications for larger scale initiatives in the future. 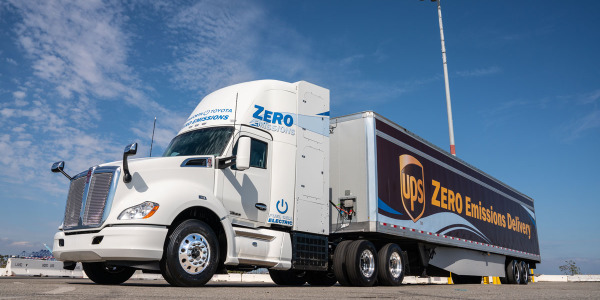 Under a separate contract with SCAQMD, the air pollution control agency for Orange County and major portions of Los Angeles, San Bernardino and Riverside counties, the natural-gas hybrid and battery-electric trucks have been developed by Escondido-based TransPower. 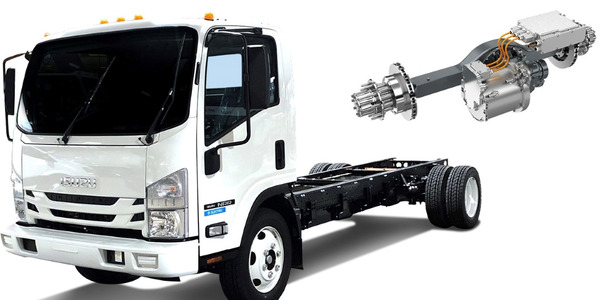 The diesel hybrid was developed by Mack Trucks, a part of the Volvo Group. 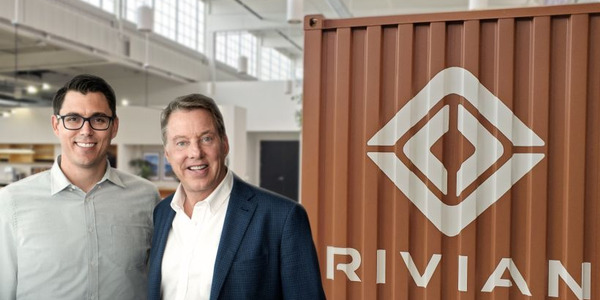 The $13.5 million project is funded by $2.5 million from SCAQMD, as well as $4 million from a settlement with China Shipping, $3 million from the California Energy Commission, $2 million from the Port of Long Beach, and $2 million from LA Metro. In addition, Siemens provided a $1.3 million in-kind contribution. SCAQMD is providing an additional $2.1 million, and the federal EPA is providing $500,000 for the TransPower contract. In June 2016, Siemens launched the world’s first eHighway system on public roads in Sweden. The eHighway is running on a two-kilometer section of the E16 highway north of Stockholm through 2018. 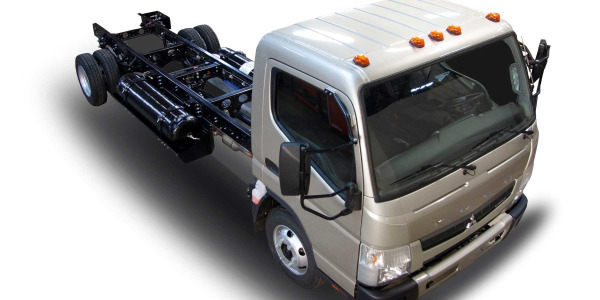 Two biodiesel-hybrid vehicles from truck-maker Scania, subsidiary of Volkswagen, are being used for the project. In addition, three field trials of the eHighway technology on German highways are planned to start operation in 2019.